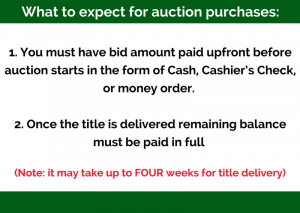 The Auction Car buying Process is SIMPLE! 1. A list of the available cars. 2. We will tell you if your car will pass Smog. 3. 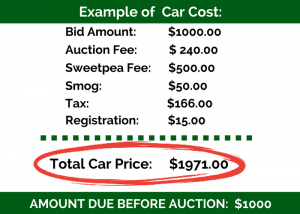 A realistic upfront price for the car, which includes registration and taxes. You will be able to check out the car with our expert mechanic before the auction starts that morning. Friday morning at 9am you will be able to come into our Office and watch the auction on live stream to see if your car has won. 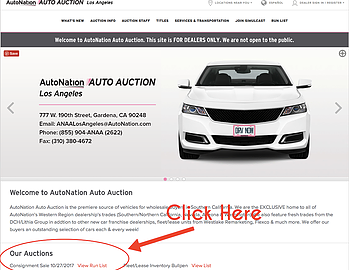 You will not be able to physically see the cars before you purchase at Friday Auction.